This entry was posted in History of Self-Storage, Storage on February 20, 2018 by George W.
In our previous post we had tips on the best way to pack/store boxes and how to properly prepare furniture for storage. 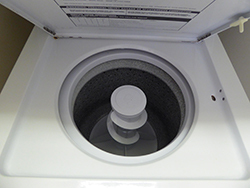 Today, we wanted to discuss some steps on how to prepare large appliances for storage. Once again, we want to remind you that these are just suggestions and you should always consult any manufacturer instructions you may have as well as using your best judgement. This entry was posted in Storage, Storing Appliances on February 1, 2018 by George W.